Is SharpSpring, Inc. (NASDAQ:SHSP) A Good Stock To Buy? Many investors, including Paul Tudor Jones or Stan Druckenmiller, have been saying for a while now that the current market is overvalued due to a low interest rate environment that leads to companies swapping their equity for debt and focusing mostly on short-term performance such as beating the quarterly earnings estimates. In the fourth quarter, many investors lost money due to unpredictable events such as the sudden increase in long-term interest rates and unintended consequences of the trade war with China. Nevertheless, many of the stocks that tanked in the third quarter still sport strong fundamentals and their decline was more related to the general market sentiment rather than their individual performance and hedge funds kept their bullish stance. In this article we will find out how hedge fund sentiment to SharpSpring, Inc. (NASDAQ:SHSP) changed recently. SharpSpring, Inc. (NASDAQ:SHSP) has seen an increase in activity from the world’s largest hedge funds recently. The company was in 6 hedge funds’ portfolios at the end of September, which is up by 4 from the previous quarter. With a small number of shareholders, SharpSpring didn’t have a chance to find its place among 30 stocks billionaires are crazy about: Insider Monkey billionaire stock index. It is still a good sign, however, that it is slowly building its network of shareholders. If you’d ask most stock holders, hedge funds are perceived as underperforming, outdated investment tools of years past. While there are greater than 8000 funds trading at present, Our researchers hone in on the crème de la crème of this group, approximately 700 funds. Most estimates calculate that this group of people direct bulk of all hedge funds’ total asset base, and by watching their finest stock picks, Insider Monkey has unearthed numerous investment strategies that have historically beaten the market. Insider Monkey’s flagship hedge fund strategy defeated the S&P 500 index by 6 percentage points per year since its inception in May 2014 through early November 2018. We were able to generate large returns even by identifying short candidates. Our portfolio of short stocks lost 26.1% since February 2017 even though the market was up nearly 19% during the same period. We just shared a list of 11 short targets in our latest quarterly update. “SharpSpring has become a Top 5 holding through a combination of price appreciation and the purchase of additional shares over several months. SharpSpring is a SaaS (Software as a Service) business that provides marketing automation software primarily for digital marketing agencies who utilize their technology to run sophisticated digital campaigns that include web pages customized based on a visitor’s historical activity. Purchasing SharpSpring’s software gives a customer licenses for use with up to three clients. The software is also white-labeled so that an agency can present it with their own branding and can upsell if they choose. With this model, SharpSpring has an attractive LTV/CAC ratio typically greater than 6. In English, that means that for every$1 they spend acquiring a customer, that customer will generate $6 in lifetime value. The right way to run this business, in my opinion, is to spend every available dollar on sales and marketing to build the customer base, not worrying about short-term profitability. SharpSpring management agrees, and recently executed a convertible debt offering to access additional resources for marketing. SharpSpring operates in an oligopolistic market with three primary competitors: HubSpot, Act-On, and Pardot (by Salesforce). HubSpot is the largest competitor and in a difficult competitive position relative to SharpSpring. HubSpot has a large customer base paying in excess of $30K per year versus SharpSpring charging less than $5K per year. HubSpot cannot easily slash prices 75% to compete on price, and given the near-parity of the offerings, offering a “stripped down” version is also not viable. These dynamics have driven adoption and market share gains for SHSP, particularly among smaller agencies. Regardless of Greenhaven Road Capital’s positive view on the company, we would like to analyze it further more, hence, we are going to view the fresh hedge fund action regarding SharpSpring, Inc. (NASDAQ:SHSP). How have hedgies been trading SharpSpring, Inc. (NASDAQ:SHSP)? At Q3’s end, a total of 6 of the hedge funds tracked by Insider Monkey held long positions in this stock, a change of 200% from one quarter earlier. 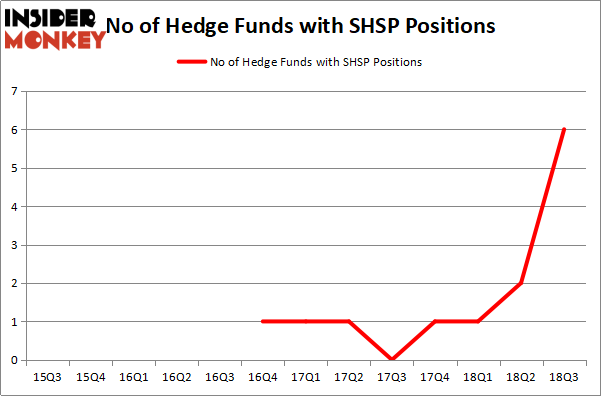 On the other hand, there were a total of 1 hedge funds with a bullish position in SHSP at the beginning of this year. So, let’s check out which hedge funds were among the top holders of the stock and which hedge funds were making big moves. According to Insider Monkey’s hedge fund database, Cat Rock Capital, managed by Alexander Captain, holds the number one position in SharpSpring, Inc. (NASDAQ:SHSP). Cat Rock Capital has a $18.4 million position in the stock, comprising 4.4% of its 13F portfolio. Sitting at the No. 2 spot is Manatuck Hill Partners, managed by Mark Broach, which holds a $7.5 million position; 2.8% of its 13F portfolio is allocated to the stock. 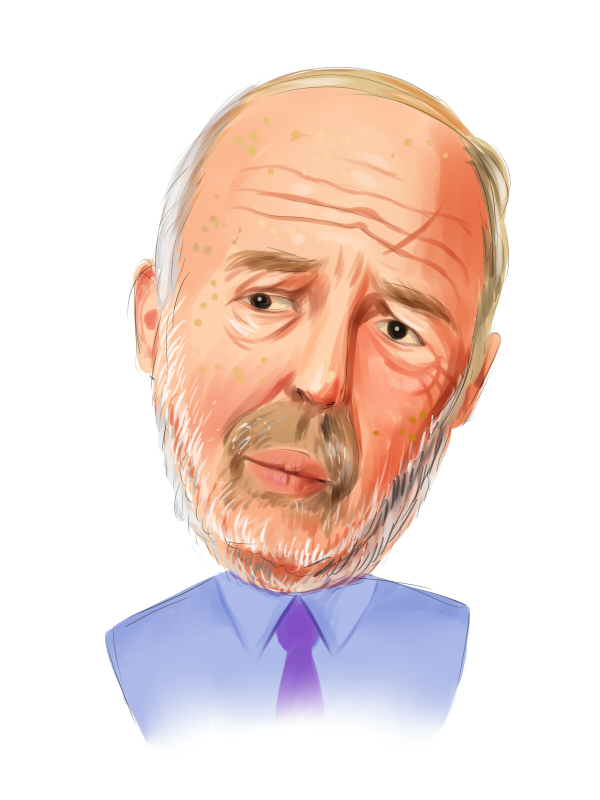 Other hedge funds and institutional investors that are bullish include Jim Simons’s Renaissance Technologies, Richard Driehaus’s Driehaus Capital and Ken Griffin’s Citadel Investment Group. As industrywide interest jumped, some big names have jumped into SharpSpring, Inc. (NASDAQ:SHSP) headfirst. Renaissance Technologies, managed by Jim Simons, created the most valuable position in SharpSpring, Inc. (NASDAQ:SHSP). Renaissance Technologies had $0.7 million invested in the company at the end of the quarter. Richard Driehaus’s Driehaus Capital also made a $0.6 million investment in the stock during the quarter. The other funds with new positions in the stock are Ken Griffin’s Citadel Investment Group and Jaime Sterne’s Skye Global Management. Even though the company has seen enthusiasm from hedge fund managers in recent months, and there are those who have big hopes on it, such as already mentioned Greenhaven Road Capital, we find that the number of smart money investors long the stock is too modest for it to be considered a wise investment. In other words, we would rather spend our time focusing on more popular stocks.